Handmade. Vintage. Everything has a Story. We have many furniture projects in the works for an upcoming market in May, but I thought I would highlight a couple. 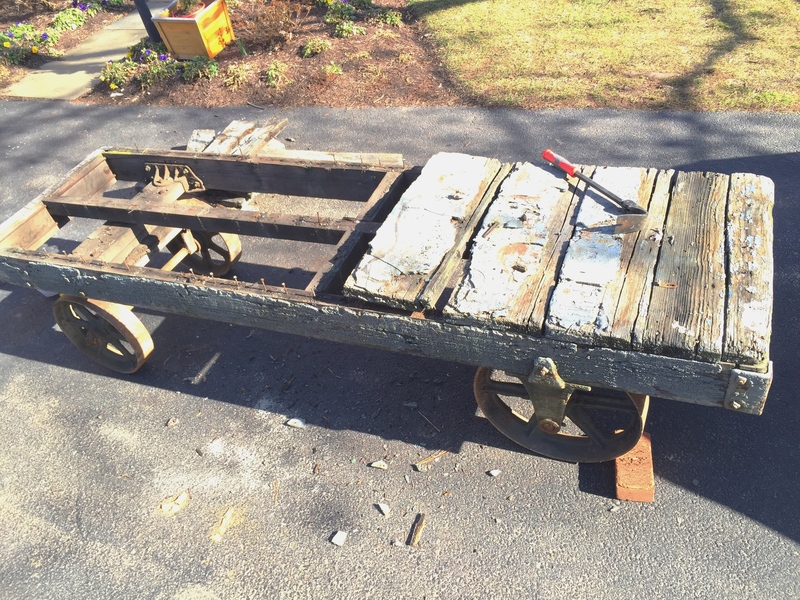 Our gallery includes this photo of an old industrial cart that Ben revived with metal and glass — and a little sweat. 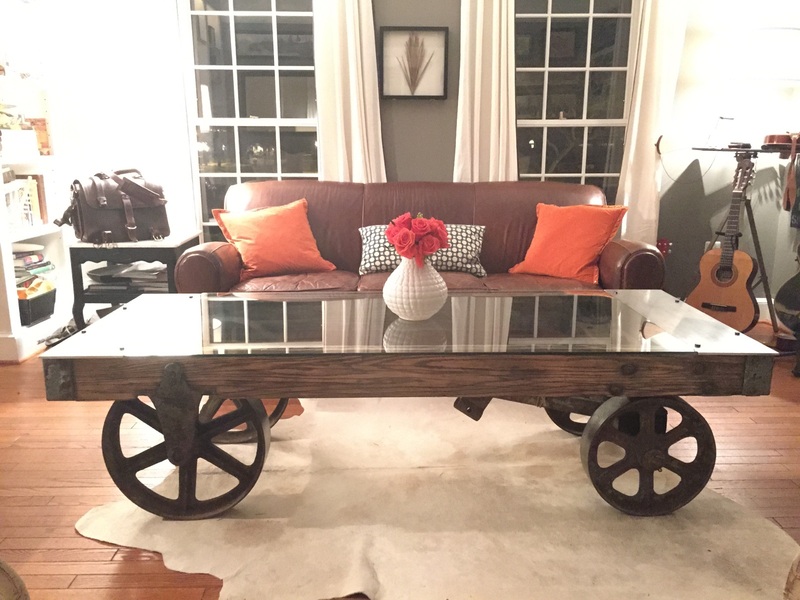 Another shot of the cart table. This thing is a beast. Well, we were able to get two more very similar wooden cards with giant steel wheels. We think these are all from the same early 20th century paint factory due to the very thick blue and yellow paint on all of them. Unfortunately, they have been sitting outside in the rain and snow for over a year, so the wood on top could not be “reclaimed”. Got our hands on two more giant industrial carts — the demo begins. Luckily the wood frame and axle assembly are in great shape. This one is a little different than our previous project because it has this cool hand-hewn cross bar in the middle. A glass top will dress the table up a little and also showcase that feature. 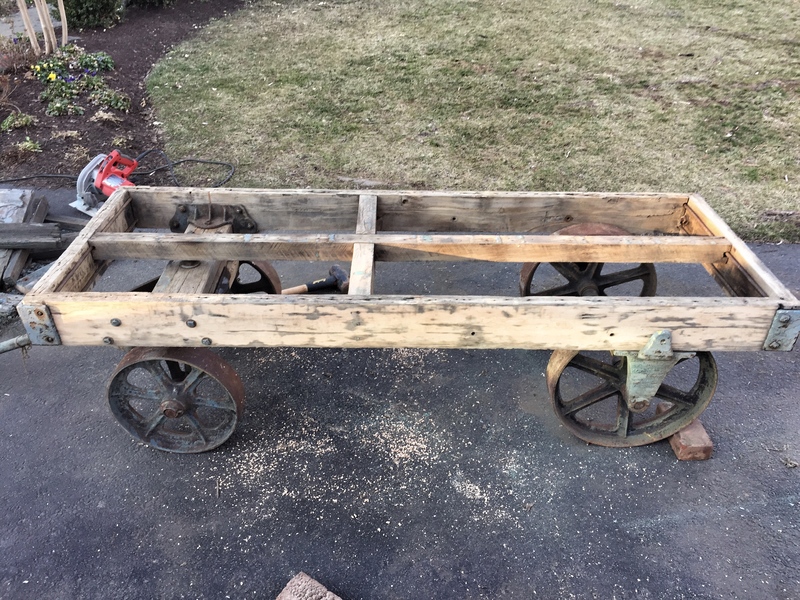 Cart after rotted wood was removed, frame shortened, power-washed and sanded. I love the hand-hewn cross beam in the middle. 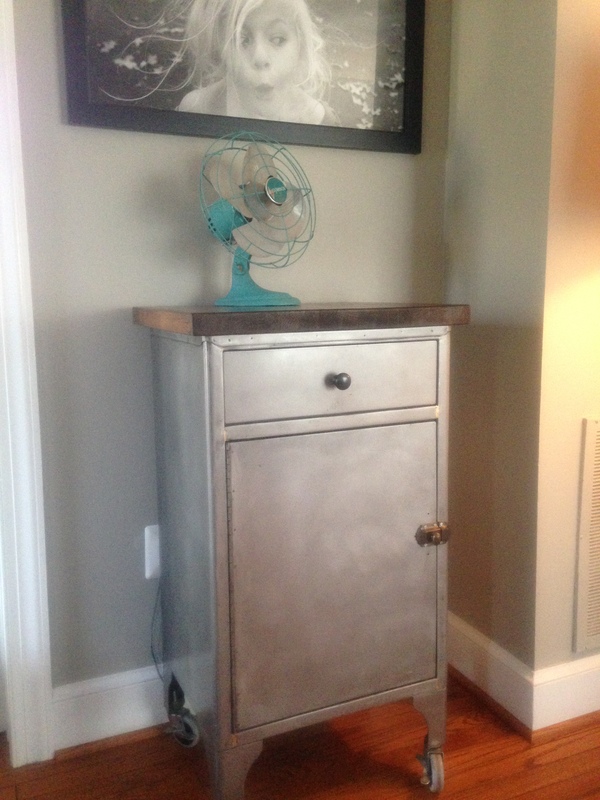 We also came across a set of 3 metal barrister cabinets this week that we are fired up about. 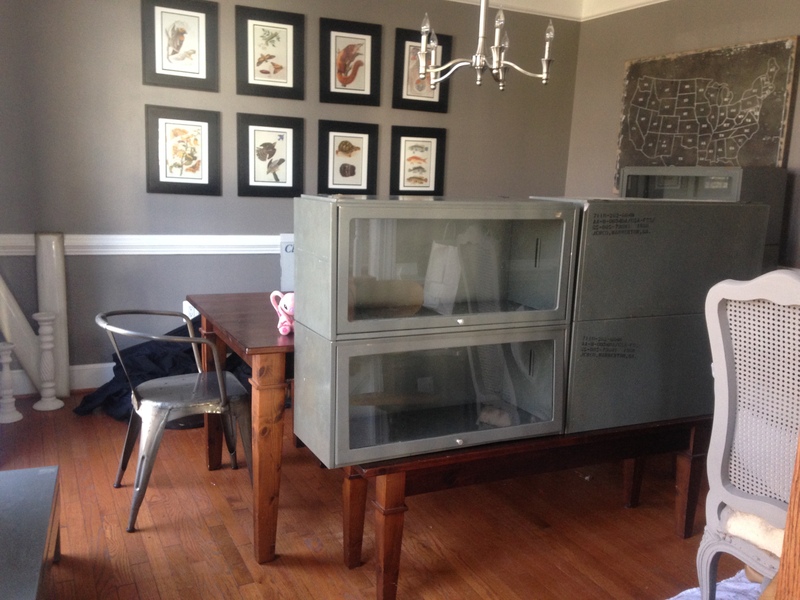 Ben has created some cool pieces out of these types of military and medical cabinets before, sanding the heavy gray-green paint to reveal a shiny silver surface, or sometimes even painting them. Stay tuned for pics of the finished products and more pieces in progress. < Previous Nature is cool. Next > Vintage Market Success! 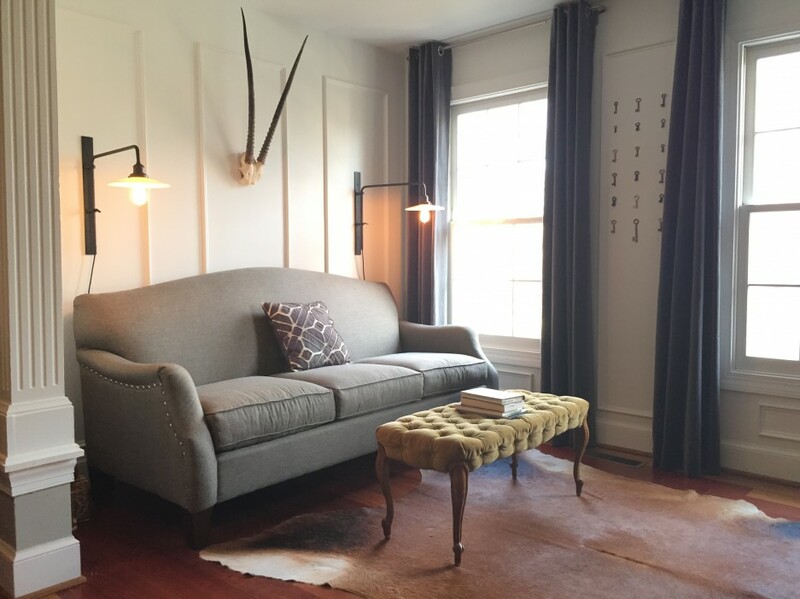 I am already the proud owner of several ” Story ” pieces so very pleased I can say ” I knew them when …” once HGTV discovers them 🙂 Their talent amazes me!